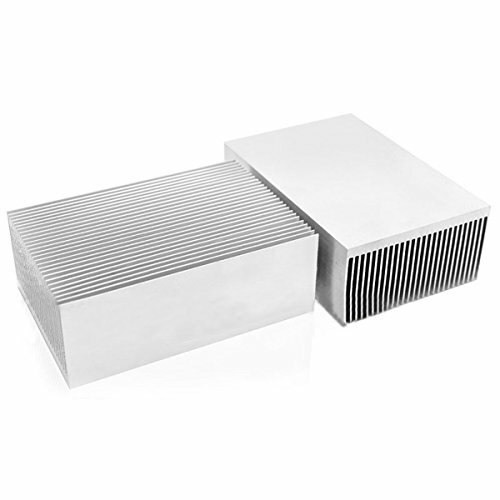 DWZ 1pc Large Big Aluminum Heatsink Heat Sink Radiator for Led High Power Amplifier by LOCHI at Wakaf Center. Hurry! Limited time offer. Offer valid only while supplies last. Specification: Brand new Material: aluminum Size: approx.100mm*69mm (base) *37mm (height) Exquisite workmanship, good heat dissipation. Exquisite workmanship, good heat dissipation. Ideal for high power LED or rf amplifier transistor. If you have any questions about this product by LOCHI, contact us by completing and submitting the form below. If you are looking for a specif part number, please include it with your message.